Dr. Jason LaBenne is originally from Ridgway Pennsylvania. He attended Slippery Rock University in Slippery Rock, Pennsylvania where he received his Bachelor of Science in Biology. He then went to Palmer College of Chiropractic where he received his Doctorate of Chiropractic. Dr. LaBenne continues to keep up on the latest research in his field by taking continuing education courses with an emphasis in Rehabilitation, extremity adjusting and disc injury. He has practiced abroad in Nepal and is licensed in Ohio, Pennsylvania and West Virginia. Dr. LaBenne has completed his course study in Activator, Cox Lumbar Flexion Distraction, Diversified Technique while at Palmer. Dr. LaBenne performs hands on and mechanical adjusting and in some cases he will perform both. Dr. LaBenne has over 10 years experience in treating a variety of injuries and conditions and has treated patients in all phases of life from newborns to geriatrics. Dr. LaBenne has had great success in adjusting pregnant patients and disk injuries. Dr. LaBenne is certified through the National Board of Chiropractic Examiners and Board certified in physiotherapy by the same entity. 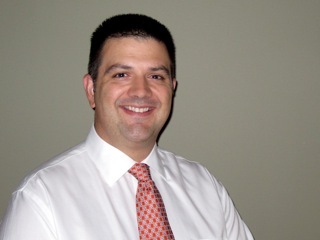 Dr. Michael Ielapi is originally from Bridgeport, West Virginia. He attended Logan College of Chiropractic in St. Louis, Missouri. There he earned his Bachelor of Science in Human Biology and his Doctorate of Chiropractic. Dr. Ielapi continues to value education, participating in rigorous postgraduate studies while caring for the community. He has achieved Level One and Level Two Certification toward eaming a A Diplomate through the American Chiropractic Rehabilitation Board. He is also a Certified Strength and Conditioning Specialist through the National Strength and Conditioning Association, as well as a Certified Sports Performance and Club Coach through United States Weightlifting which is governed by the United States Olympic Committee.